Emmet, what a guy! He's always in a good mood whether he's thwarting Lord Business' plans or grabbing coffee in Apocalypseburg, but being happy isn't exactly an easy feat. You never know when you could wind up underneath a wash/dryer combo, alone, forgotten and stirring in destructive thoughts and hatred. That's what happened to Emmet— kind of. In a future alternate universe, Emmet goes bad, loses his softness, gains a veneer of macho-manness and it isn't pretty. Well, his gang of raptors, his vest and his thick head of hair are pretty cool, but everything else about alternate Emmet, AKA Rex Dangervest is completely lame (bomb name though). Rex could learn a thing or two from sensitive Emmet; showing emotion is the toughest thing a man can do. Sacrifice Rex to Our-Mom-ageddon and instead, don the signature orange vest to become the one and only, Emmet. 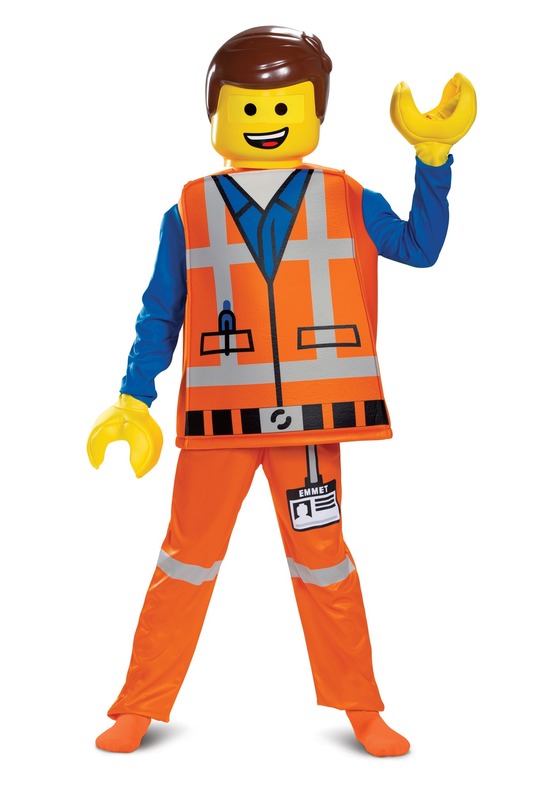 This full and officially licensed costume comes with everything needed for your Lego-transformation. Pro tip: if you're wanting to create a look that's a teeny-tiny more macho, take a black marker and draw on stubble. You'll look tougher without going crossing over to the dark side but getting your hands on raptors will be a lot more difficult. 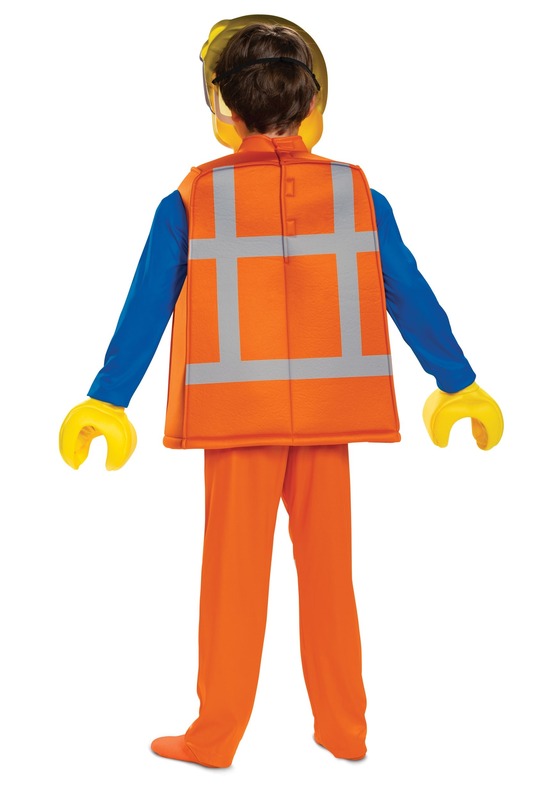 The boy's Lego Movie 2 deluxe Emmet costume comes with a box-shaped tunic made to look like Emmet's typical construction worker vest. The coordinating pants have a stretchy elastic waistband so they're nice and stretchy, while the included mask is crafted from plastic and fastens around the head with an attached elastic band. Finally, the gloves needed to create the quintessential u-shaped Lego hands are also included to complete Emmet's look. Use this costume to create one awesome Lego-inspired BFF costume. Have your buddy wear the Lego Batman or Lego Lucy costume then conspire to take part in some major awesomeness!